Womenswear subscription e-commerce platform Box Fantasia announced on July 27th that they obtained millions of yuan angel investment. The investment was led by Bin Wu, the founding shareholder of VIP.com and Dawson Capital, and followed by Shenzhen Qunda Technology. The financing will be mainly used on business development and warehouse construction. Box Fantasia was established in December 2017 and started operation officially since early 2018. Box Fantasia targets female consumers aged from 25 to 38 years old in the first and second-tiered cities. Users pay 299 yuan to sign up for lifetime membership. With body figure data (height, weight and measurements), and preference information (style and brands) submitted by users, fashion consultants on the platform will use algorithm to form a styling solution. With the solution profile, 5 to 7 pieces of clothing and accessories will be sent to users, who have 7 days to try at home. Afterwards, users can choose to pay for those they like and return the rest for free. Internet cake brand Bliss Cake announced on July 24th that they raised 400 million yuan in Series B financing. The investment was led by Huaxing New Economy Fund and followed by previous shareholders (Meituan Dragon Ball Capital and Bright VC) and new investors (ABC Capital and China Equity). Previously Bliss Cake obtained 96 million yuan in Series A financing in December 2017. Bliss Cake was established in 2008, focusing on offline chain stores initially. In 2013, Bliss Cake transformed the business model to internet cake, featuring freshly-made cakes delivered within 2 to 5 hours, covering the first and second tiered cities, including Shenzhen, Shanghai, Beijing, Guangzhou, Hong Kong and Macao. The annual sales reached 650 million yuan in 2017. 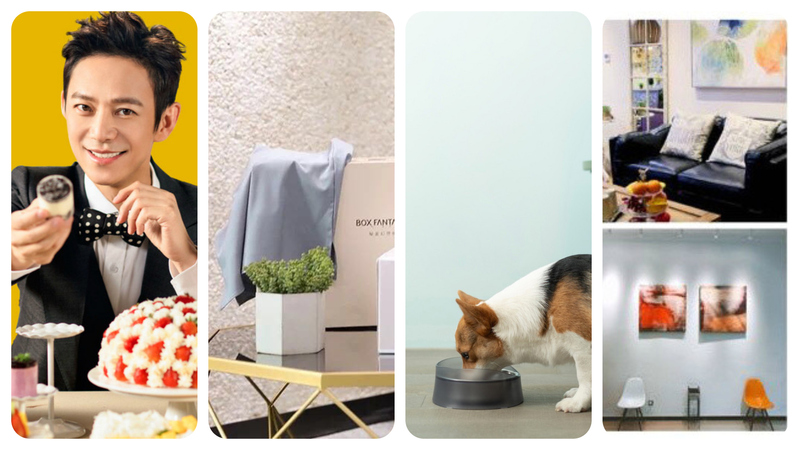 Pet product brand Pidan announced on July 26th that they raised 60 million yuan in Series B financing. The investment was led by Chengwei Capital and followed by Crystal Stream Capital and Kinzon Capital. Previously, Pidan obtained Series A investment from Crystal Stream Capital and Kinzon Capital in September 2017. The new financing will be mainly used to expand product categories and overseas market. Pidan was established in 2015, featuring a cat sand basin with Red Dot Design Award. In April 2018, Pidan launched the first dog product. Currently Pidan covers six product categories, including equipment, tools, furniture, toys, supplies and food. In early July 2018, Pidan conducted a VI upgrade. Pidan was the champion of Luxe.Co InnoBrand Competition in 2017. Household product e-commerce platform Hommey announced on July 23rd that they raised tens of millions of US dollars in Series A financing. The investment was led by Zhen Fund and followed by Crystal Stream Capital. Previously HOMMEY obtained Series Pre-A investment from Newslon Venture Capital and Fenghou Capital. The new financing will be mainly used on brand promotion, city development and service / supply chain system upgrades. Hommey was established in 2016 targeting young customers. In October 2016, Hommey launched the “experience home” business model. Platform users have open-home for potential users with similar styles and preference to visit. Those open-home users can receive discount and sales commission. Currently, Hommey has over 100 “experience homes”. The monthly sales turnover exceeds 15 million yuan and the customer unit price is about 20,000 yuan. Offline scenario big data service provide Shuwei announced on July 24th that they obtained Series B investment. The investment was led by Saif Partners and followed by Changrun Capital. The financing will be mainly used to expand the scope of scenario recognition coverage, as well as R&D and facility investment. Shuwei serves mainly application companies, brand customers and other online companies. Through indoor positioning technology, Shuwei collects users’ offline scenario big data, forms real customer portrait and helps companies provide customized services. Shuwei also created a marketing platform “Shuwei Flyer”, targeting offline companies, who can select target customer groups for advertisement.